For the first time in 17 years, the Los Angeles Rams are headed to the Super Bowl and in a twist of fate, they’ll be playing the same team they faced the last time they were there: the New England Patriots. The Rams earned their trip to Atlanta on Sunday by knocking off the Saints in the NFC Championship. Rams kicker Greg Zuerlein capped a wild game with a 57-yard field goal that gave the Rams a 26-23 win in overtime. As for the Patriots, they also won a wild game of their own thanks to Tom Brady. With the game tied at 31 in overtime, Brady did what Brady does: The Patriots quarterback engineered a 75-yard game-winning touchdown drive that was capped by a one-yard touchdown run by Rex Burkhead. The touchdown ended the game and meant that Patrick Mahomes never got to touch the ball in overtime. The win for New England means that he Patriots are now headed to the Super Bowl for the third straight time and an NFL-record fifth time in eight years. 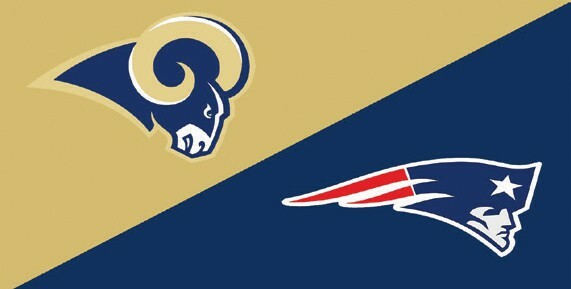 The game between Los Angeles and New England could end up opening some old scars for the Rams. The Patriots kickstarted their dynasty with a 20-17 win over the Rams in Super Bowl XXXVI that some Rams players still seem slightly bitter about. Over the years, multiple players have insisted that the Patriots spied on the Rams walkthrough practice before the game. That’s just one twist that will be coming your way when Super Bowl LIII kicks off from Atlanta on Feb. 3 in a game that will be televised by CBS. You can also stream it right here on CBSSports.com.